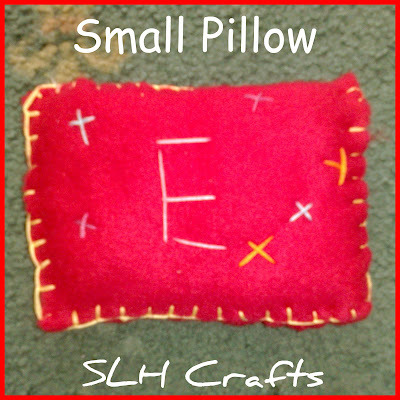 The photograph above shows a small pillow I made for my best friend. I made this with 2 rectangle shapes of red fleece. I decorated one of the pieces with hand stitches. I then put both pieces of fleece together and blanket stitched all the way around leaving a small space. 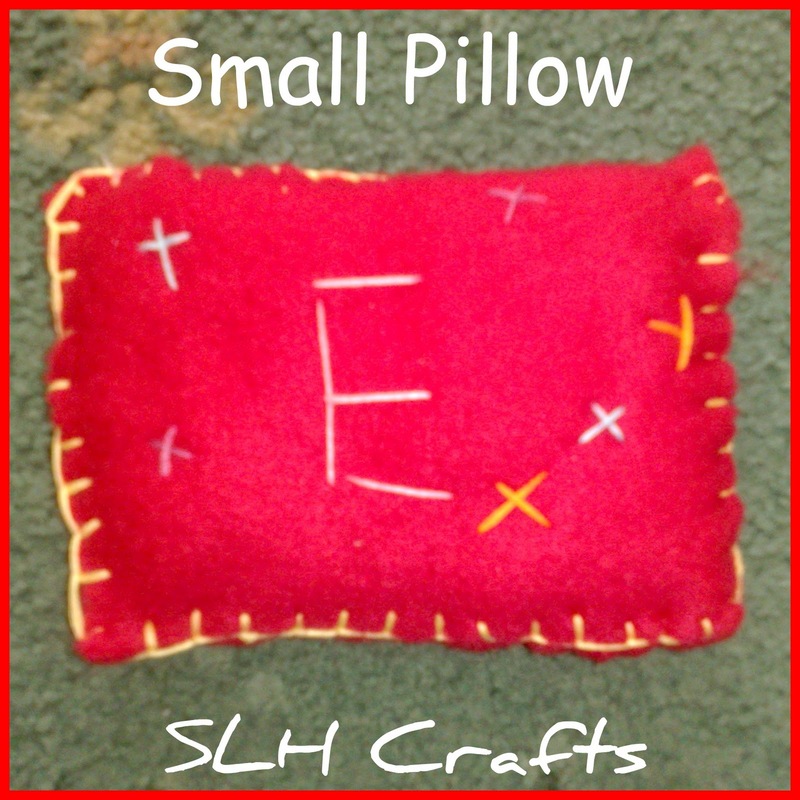 I filled this pillow with some wadding and then closed up the gap with some more sewing. I think my friend really liked her gift.